Tebow was in major league spring training previous year for the Mets, but his playing time was curtailed because of a sprained left ankle sustained early in camp when he stumbled on an outfield sprinkler. He was with the Mets at big league camp last season as well and drew big crowds everywhere he went. Tebow's invitation comes at the start of his third full season as a professional baseball player. Tebow spent the 2018 season at Double-A Binghamton, batting.273 with six home runs and 36 RBIs in 84 games. Mets' management has been high on Tebow since his arrival into the franchise's farm system. Once again, Tim Tebow will be in big league camp this spring. It's been a busy offseason for Tebow, who got engaged to his girlfriend earlier this month. Tim Tebow officially invited to @Mets Major League camp this spring, per team announcement today. We've invited 13 additional players to Major League #SpringTraining. 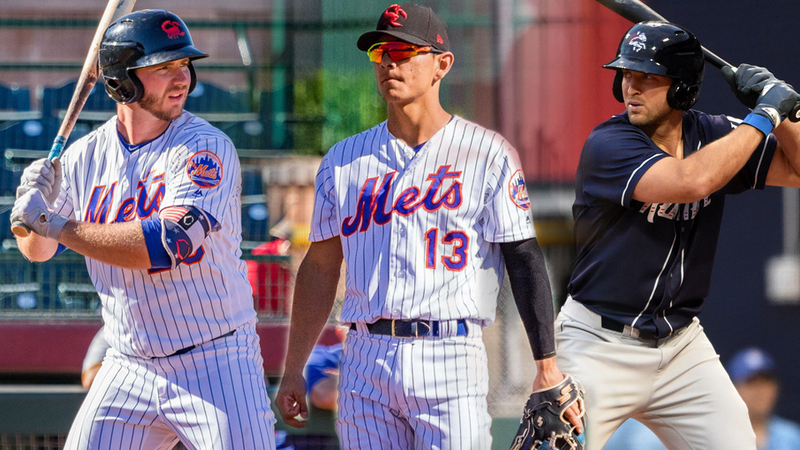 According to Sports Illustrated, in December of 2018, Mets GM Brodie Van Wagenen said Tebow will start 2019 with the Syracuse Chiefs, noting it's just one step away from the big leagues. During the winter, Van Wagenen said he would not rule out the possibility of Tebow breaking camp with the Mets, though it's far more likely Tebow begins the year in Triple-A.